The lecture will focus on several passengers on the Lusitania who died when the ship went down, and chart their influence on Irish art. Sir Hugh Lane is obviously the best known of these passengers. 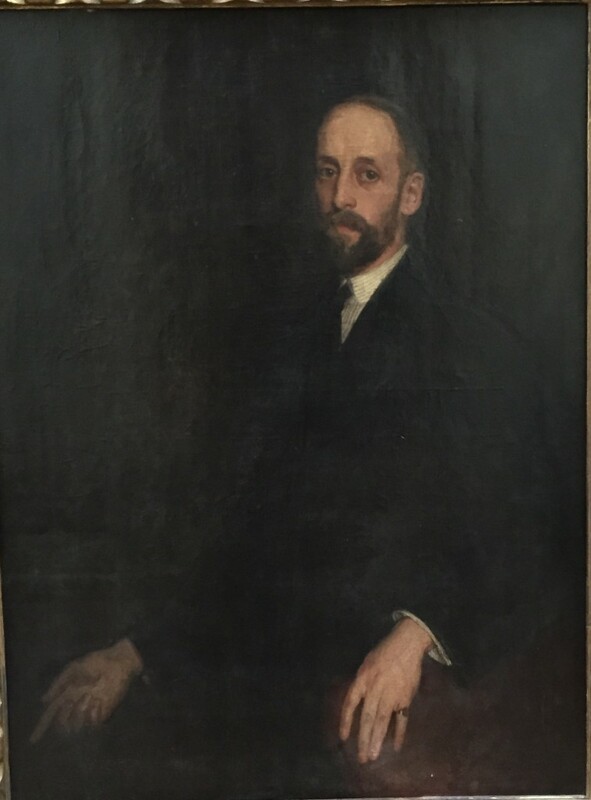 Others who died included Elbert and Alice Moore Hubbard who were supporters of the Arts and Crafts movement, and were patrons of the Irish sculptor Jerome Connor. Connor went on to create the Lusitania Memorial in Cobh. 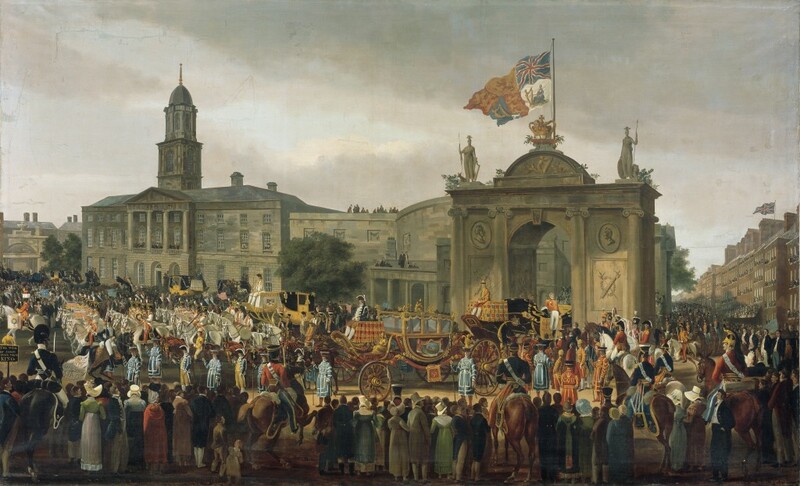 Throughout the nineteenth century, Ireland had a particularly anomalous political and economic relationship with its closest neighbour – being both a part of Britain but also separate from it. To date, paintings of Irish life from this period have tended to be viewed through an ‘outsider’s’ lens – scholars have interrogated how a national character for Ireland was created amongst audiences in Britain using images of the Irish rural poor following the union of parliaments in 1801. But how were these images of Irish local life understood within Ireland itself? This lecture will challenge ‘outsider’ notions of Irish national character by investigating how the Irish actually perceived themselves during the first three decades of the union with Britain. Although many of the images we will look at were eventually exhibited in London, they were usually first shown to Irish audiences. From this perspective, it becomes clear that artists in Ireland, like Nathaniel Grogan, Joseph Peacock, William Turner de Lond and John Mulvany, were primarily creating their images with the intention (or hope) of selling them to an Irish market . Thus, we will consider how market scenes, domestic interiors, fair days, busy streets and enduring landscapes were used by artists working in Ireland to project the ideologies, attitudes and interests of their local collectors (and spectators). Did artists (and their patrons) use images of the nation (both land and people) as a means to affirm their status as a citizens of Ireland, unique and separate from their British counterparts? The lecture will argue that images of the day to day activities were used by an urban, educated elite to project a national identity for Ireland that was distinct from Britain. It will show how a unique type of “Irish” art emerged in the first part of the nineteenth century – an art that was about proving the nation’s contemporary worth both as a part of, but also independent from, the British Empire. Calligraphy has changed. While the long past of the craft gives us a rich combination of expressive possibilities and artistic forms, the present age of eclectic adaptation is generating a new kind of artwork which combines the highest craft skills with contemporary imagery and motifs. Calligraphy has also pushed its way into the new technologies of digital production and reproduction and it has found new surfaces to embellish: bodies and walls. 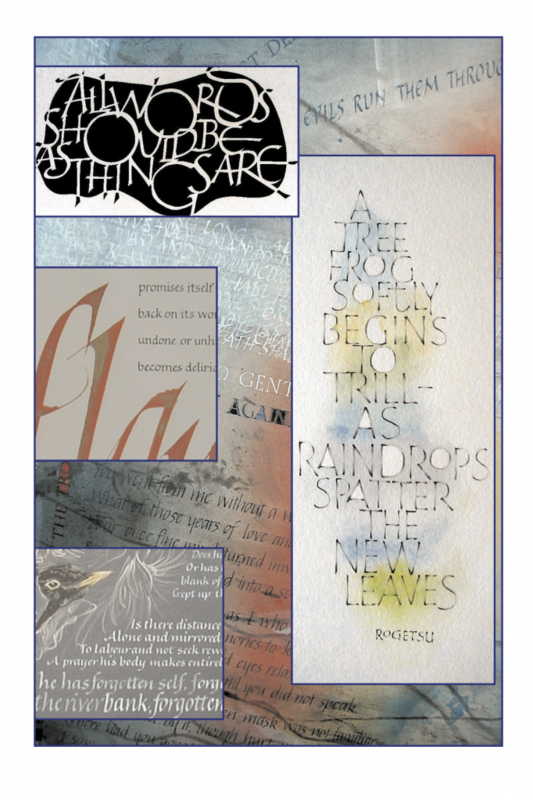 Kevin Honan’s talk will explore both the old and the new world of the Letter Arts. There will be an opportunity to see a small display of work by Irish calligraphers, including the Book of Pilgrims. 3. more abstract expressive work. Kevin will bring the beautiful Book of Pilgrims with him as well as some other works of calligraphy that will be on display. The Honan Chapel, dedicated to St. Finbarr of Cork, is a unique case study illustrating the role played by the Dublin schools in helping to renew Cork craftsmanship in the first decades of the twentieth-century. The chapel was built and furnished during a period marking the transformation of the Irish political and cultural landscape. 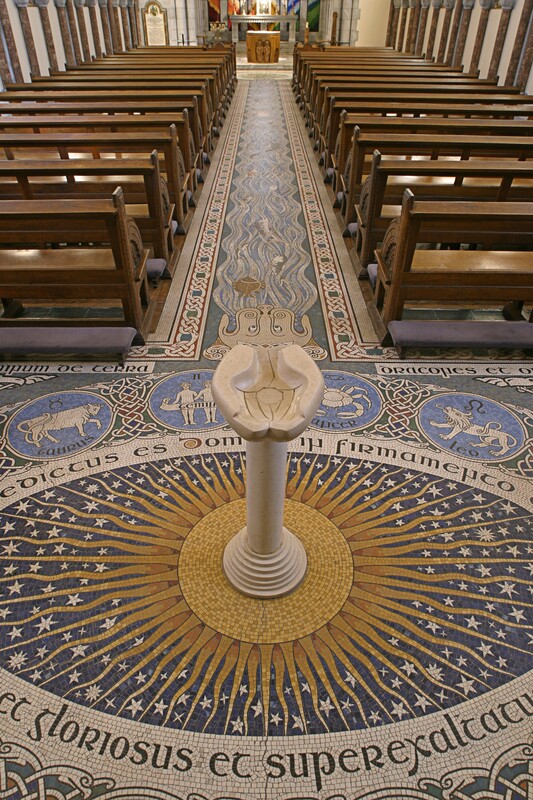 This lecture proposes to discuss the contribution of Lehmann James Oppenheimer (1868-1916) and his son, Eric Newton (1893-1965) as designers of the mosaic floor in the Honan Chapel, Cork, built between May 1915 and November 1916, at the zenith of the Irish Arts and Crafts movement (1894-1925). Specifically, it will interrogate reasons for excluding Oppenheimer from the official histories of the chapel published in 1916 and again in 1946 and 1966. The answer lies in the promotion of a particular Irish cultural nationalist agenda by the project’s patron Sir John Robert O’Connell. The firm of Oppenheimer, based in Manchester, was the only non-Irish company employed in the commission. O’Connell’s chapel guidebook, published in 1916, was more than a guidebook it was an aesthetic manifesto whereby he envisaged a new art for a new nation. O’Connell’s vision of a native architecture and artistic movement drawing from the wellsprings of a national history was never brought to fruition because war intervened: first it was the War of Independence or Anglo-Irish War, 1919-20 that was to slide into the Civil War, 1921-22. In the aftermath the new state retreated into cultural conservatism. The Honan commission was an experiment, which was never fully actualized in the manner O’Connell had intended. Yet, the Honan commission aesthetically expresses the idea that we write ourselves into reality through the stories we tell and the narratives we construct. 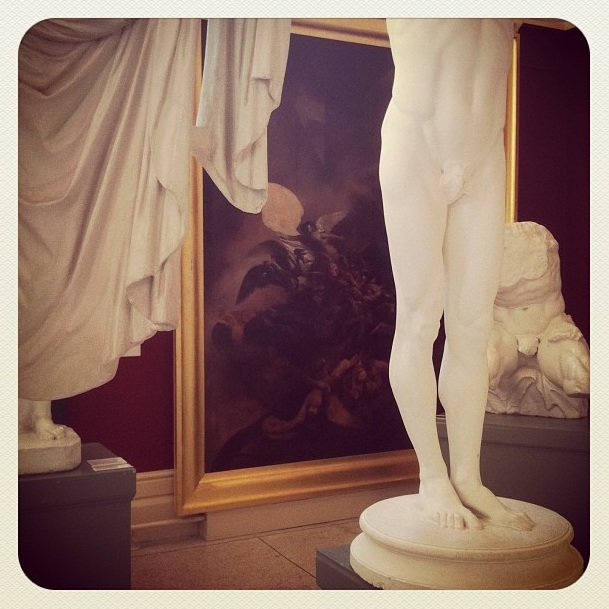 In October 1818, a vast array of sculptural casts taken from the antique arrived in Cork and within a few short months a School of Art had formed around them. But who made them and for whom were they made? And how did they come to find a home in Cork? Michael Waldron takes a timely look at the history of the so-called ‘Canova Casts’ (now in Crawford Art Gallery) and explores the reasons for their creation and their lasting significance ahead of their bicentenary. In the past – as much as today- how houses were furnished and decorated spoke volumes about the owner. 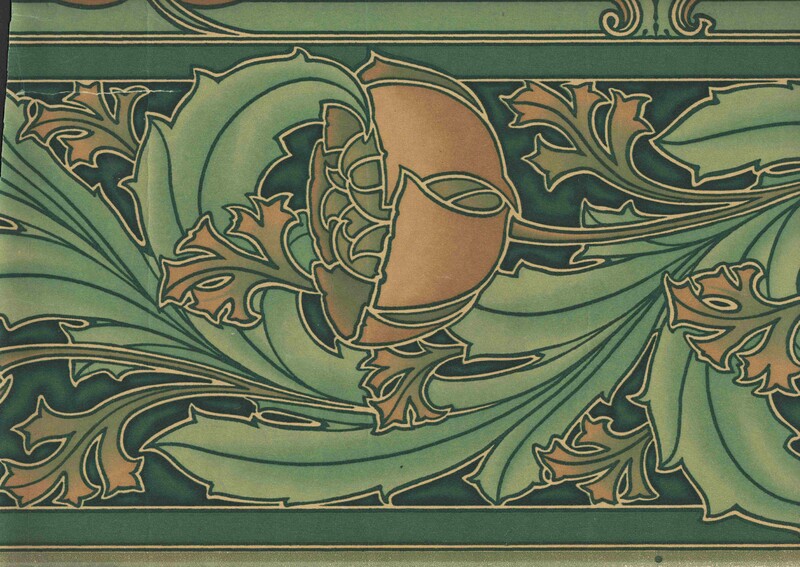 This lectures explores how wall coverings can offer fascinating insights into domestic life and will focus on the rich collection of historic wallpapers in the Irish Heritage Trust’s archive. Wallpapers were an important aspect of interior decoration in the 18th and 19th century home and they offer us a wealth of clues about social rituals, how rooms were used, by whom and how one’s décor could be loaded with meaning. Drawing on a selection of rare papers from the archive Jennifer McCrea will examine how the choice of pattern and colour in wall coverings was a process that was taken very seriously and how these selections were dictated by considerations such as status, fashion, taste, social convention and respectability. 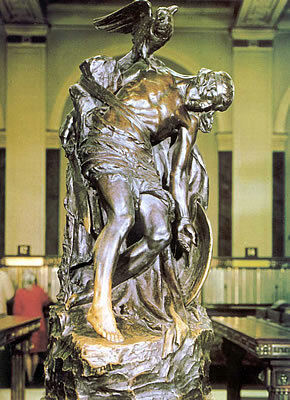 The lecture will look at works by Oliver Sheppard that made him the sculptor of the revolutionary generation, and in particular his Death of Cuchulainn, chosen by De Valera to be the most appropriate symbol to commemorate the 1916 Rising. † Each lecture begins at 7:45 p.m. and is accompanied by a complementary glass of wine, or cup of coffee/tea with a biscuit, before the lecture as an opportunity to mingle with old and new friends, and meet the Speaker. These refreshments are offered to members and guests from 7:00 p.m.